Entomologists get excited over the strangest things. This morning I got my first bat bug sample ever, and I'm still all aflutter. this photo. Image by Mike Merchant. Bat bugs and swallow bugs are relatives of the common bed bug, Cimex lectularius--the species you are most likely to encounter on a daily basis in the pest control business. 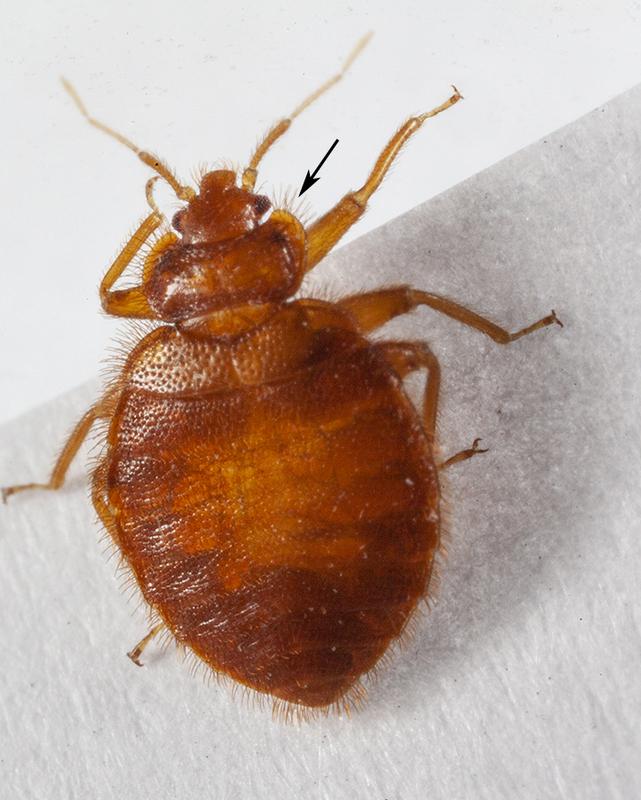 There are approximately 100 species in the bed bug family, referred to as cimicids (sigh MISS ids). Most are specialists on certain types of birds and bats. Generally, these bird and bat feeders have little interest in human blood, and cannot survive without their normal winged hosts. Most of these other species of cimicid bugs look much like our common bed bug. They will be flat, oval-shaped and reddish-brown, with adult forms about the size of an apple seed. Current thinking among biologists is that cimicids that specialize in birds and people are spin-offs from ancestral, bat-loving bed bugs. The data suggest that the switch-over from bat feeding to human feeding may not have been that long ago in evolutionary time. It's not difficult to imagine our ancient ancestors scratching from the first hungry bat bugs checking out other food choices in dark caves. Today, it's rare to find our common bed bug feeding on bats, though it seems this species is less choosy about hosts than most other cimicids. Cimex lectularius has been found feeding on chickens, pigeons, swallows and even pets (though its clearly preferred host seems to be humans). Though bed bug identification is definitely a job for specialists, fortunately it's not difficult for any PMP to tell the difference between bat bugs and the common bed bug with a hand lens or office microscope. It has to do with the haircut. 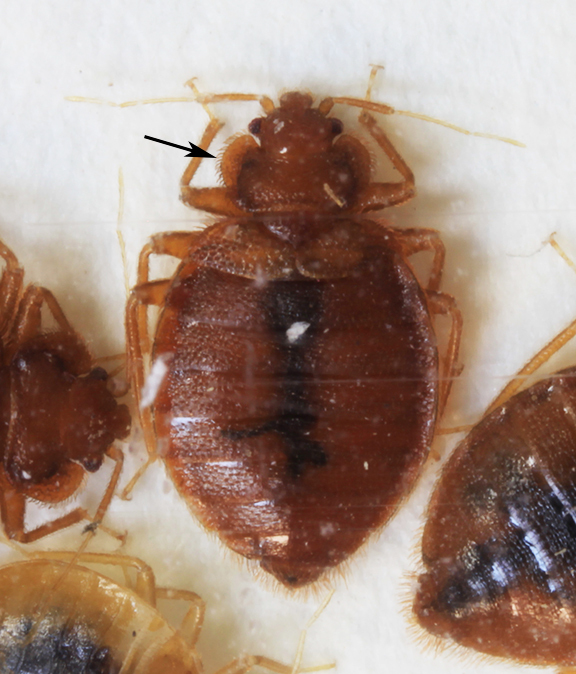 Common bed bugs, our main human bed bug pest, have a fringe of short hairs on the edges of the pronotum, that "shield-like" plate behind the head (see first picture). Bat and swallow bug fringe hairs are longer (see lower picture). This shouldn't be hard to remember if you think of bats as being hairier than people. Though this character won't necessarily help you tell a bat bug from a swallow bug or pigeon bug, it is a reliable way to tell one of these non-people feeders from the common bed bug. Just because your customer has bat bugs instead of bed bugs, it doesn't mean your job is done. While treating bedrooms with a conventional bed bug treatment is unnecessary (bat bugs do not aggregate around beds, nor reproduce on people), there is still pest control to be done. Bat and bird bugs are best controlled by eliminating their preferred hosts from the structure and possibly treating the roosting/nesting sites for bed bugs. Host elimination is not as simple as closing entry points for bats or birds. Most birds and all bats are federally protected and cannot be killed, nor active nests destroyed. Instead, they must be excluded at the end of nesting season. If you have questions about bird and bat exclusion, it's best to check with your state wildlife department. Nesting season for protected birds and bats varies from one area to another. Unlike common bed bugs, it's unlikely that bat bugs and the various bird bugs will exhibit high levels of insecticide resistance. Any of the pyrethroid or pyrethroid-combination insecticides for common bed bugs should provide good control of bat and bird bugs around suspected harborages and entry points into living areas. Bat bug and swallow bugs are not that common in our business. The sample I received today was, I learned later, collected from a home in Indiana. But if bed bugs are being found in unusual places, especially away from bedrooms, keep in mind that other bed bug species are out there. Remember that pest identification is always the starting point for good pest control. And it can be fun too; ask any entomologist. If you've been thinking you'd like take the Associate Certified Entomologist (ACE) exam, two opportunities are coming up soon. The IPM Experience House will be sponsoring an ACE prep class and exam on Dec. 20, 21. 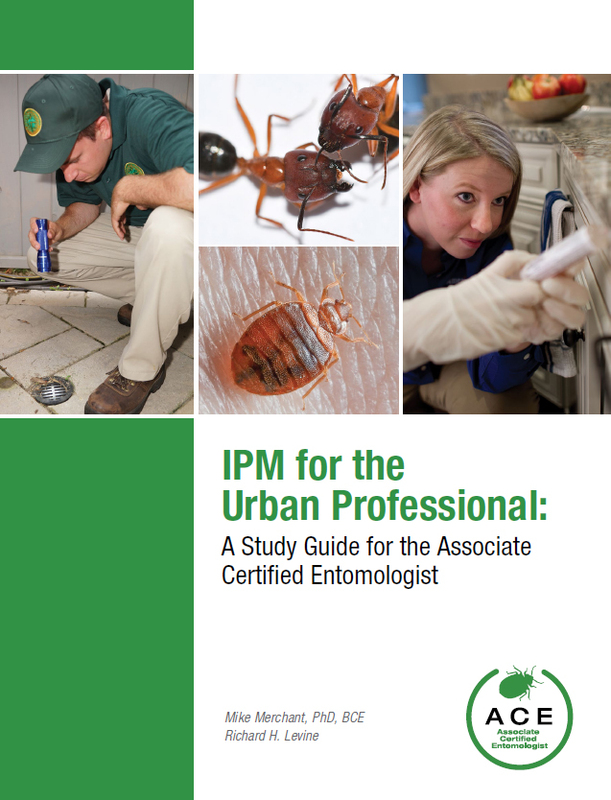 And the Annual Texas A&M University Urban Pest Management Conference and Workshop will also host a class on Jan. 16, with exam on Jan. 17. The Dec. class will be offered over one-and-a-half days and will include some lab activities to supplement the traditional classroom review. This class will be held at the Texas A&M AgriLife Center at Dallas campus, located in north Dallas, on Coit Road. Class will start at 8:30 and go until 5 pm. Microscopes will be provided to look at stored product pests and ants. Click here if you would like to learn more or to register. Time is running out. It’s not uncommon for our office to be visited by folks who for a variety of reasons are convinced they are being attacked by invisible [often non-existent] bugs. The descriptions often range into the fantastical, but most often there are simply no bugs. I figured this sample would fall into the imaginary bug category. For that reason, the sample sat on my desk for a few days before I reluctantly examined it. The clock was ordinary enough--no insects in sight. To be fair, I figured I would humor my client and plug in the clock. A minute later I gazed at the clock. 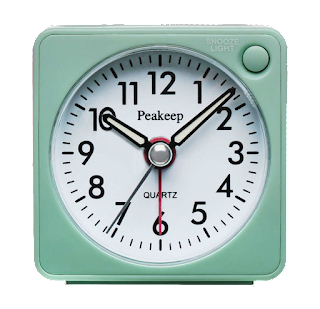 To my surprise I saw a half dozen (what turned out to be) rodent mites exiting and entering the holes in the back of the clock. The homeowner, I later learned, had just had the home cleared of roof rats by a pest control company. Upon losing their hosts, the now-lonely rat mites had apparently discovered the next best thing to a warm rodent nest was a warm electric clock. This experience taught me two things. Rodent mites are attracted to warm places, and I should take every sample (goofy or not) seriously. Rodent mites are one of the most poorly known biting arthropods. Yet as rodents grab headlines from New York City and Chicago, even the media is beginning to take notice of these tiny pests. One recent New York periodical recently proclaimed: "Rat mites. They're a thing, and they're worse than bed bugs." Like bed bugs, rodent mites are active at night and can leave you with an itch. But their tiny size and painful bites make them scarier than bed bugs to many. Still, many PMPs get caught off-guard when asked by a customer about mites; or when customers complain about mystery bites after a successful rodent control job. It pays, therefore, to know something about these tiny pests. Mites are arachnids, more closely akin to spiders than insects. They belong to the taxonomically-complex sub-Class Acari, which includes mites and ticks. Like all arachnids, adult mites have four pairs of legs. They mainly differ from ticks in being smaller (almost microscopic), often having long body hairs and mouth-parts without teeth. Mites include species that feed on stored products like flour and cheese, species that are predatory, species that are parasites, plant feeders and scavengers. In all, over 250 species of mites cause problems for humans including allergies, dermatitis, serving as bridge hosts for parasites. Some species even infest skin and transmit disease. If mites are so bad, why don't we talk more about them? The answer may have something to do with size. Mites are crazy small! Their tiny size means that they often get overlooked, and few people feel compelled to study them (yes, even scientists are sometimes drawn to larger, easier subjects of study). So what do we know about the secret lives of mites? All rodent mites are ectoparasites, meaning they live externally on their hosts, not internally like a tapeworm. They reproduce quickly, usually going through their life cycle (egg to egg) in about two weeks. There are several species of rodent mites, including the tropical rat mite, Ornithonyssus bacoti, the spiny rat mite, Laelaps echidnina, and the house mouse mite, Liponyssoides sanguineus. All of these mites, if you take time to look, can be found in rodent nests or in the fur of their hosts. According to rodentologist Dr. Bobby Corrigan, one of the few people I know who literally combs dead rats for science, mites can be found on most Norway and roof rats. Less is known about the prevalence of house mouse mite on house mice. In structures, rodent mites will usually be found in walls or attics close to their hosts’ nests. Baby rodents are likely a favored blood meal during breeding season. When they become too numerous for the nest, or when the baby and adult rodents die or leave, rodent mites will wander in search of another host. These homeless mites are most likely to bite people; but luckily, we humans make poor hosts. Our lack of fur combined with fastidious grooming (think scratching) means that rat and mouse mites don’t last long when people are the only hosts around. Even dogs and cats do not appear to be suitable hosts for rodent mites. pests in animal rearing facilities. From Beck and Folster-Holst, 2009. In the absence of their preferred hosts, rodent mite infestations generally go away naturally within one or two weeks. One European case study (Beck 2008) involved three children with rat mite-caused dermatitis. The children lived in the same room with a pair of mite-infested gerbils. Once the gerbils were treated (selamectin) and cages cleaned and treated (permethrin + pyriproxyfen), the dermatitis ceased within seven days. In another case a German medical student lived above a bakery with a rat infestation. The student was bitten repeatedly at night by mites that had apparently moved upstairs through the walls from the infested bakery. One week after professional treatment with permethrin, the hundreds of mites present in the home had disappeared and dermatitis ceased (Beck 2008, Beck and Folster-Holst 2009). In Houston, a 60-year-old woman living in a dilapidated home infested with rats went to her physician complaining of itching and red bumps scattered on her upper body and arms (Hetherington et al 1971). Rats in the house were trapped and examined and found to be infested with the mites. The rashes and bites stopped when the woman left the house but resumed when she returned. Unlike bed bugs, rodent mites are not hitchhikers and not likely to be carried from one place to another by human transport. The well-known urban entomologist, Walter Ebeling (1960), reported successful treatment of rodent mites with fluoridated silica aerogel, a type of desiccant dust, applied to the attics and bedding of severely infested homes. He reported that bites stopped immediately after treatment. In another case involving an old house and six medical students (Engel et al. 1998), rodent mites were found to be the cause of severe itching and red bumps. Noises in the attic suggested an active rat problem, so a professional was called. During extermination the bites became so severe that the students had to leave the house temporarily. After the rooms were sprayed repeatedly with a miticide (benzyl benzoate + tannic acid) the students returned in a few days with no more cases of dermatitis or sighting of mites. This case demonstrated how rodent mite infestations can become worse after rodents are eliminated, as the mites seek new hosts. 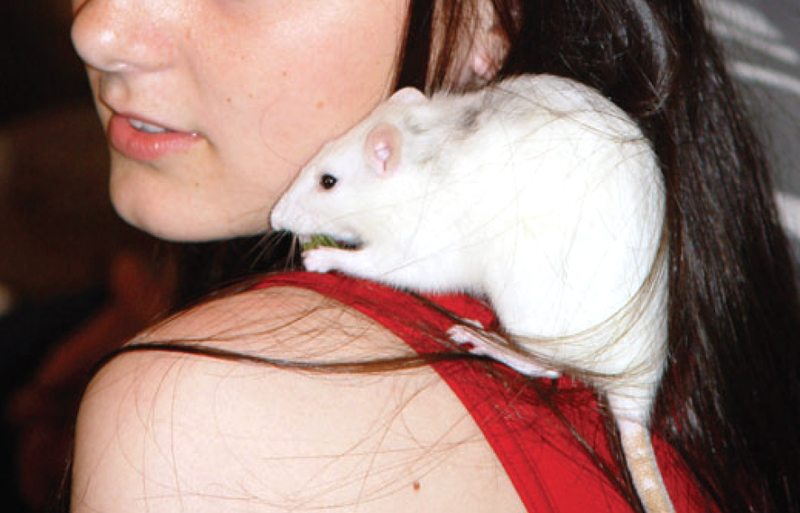 In all cases, the use of creams and medications without addressing the rodent problem was ineffective. Once rodents were eliminated, and appropriate miticides applied, bites stopped within a week, or immediately in some cases. Because of their small size, rodent mites can be difficult to diagnose. Many cases of supposed mite bites turn out to have a medical or psychological explanation. For this reason, inspections are important. Use your flashlight to look for tiny arthropods little larger the the period at the end of this sentence. Look on solid colored surfaces in areas where your customer is reporting bites. To see a short video of rodent mites crawling on a person's hand, click here. Sticky cards are effective mite collecting devices. Place them in suspected hot spots. If your customer claims they are getting bites everywhere in the house, or even in their car, or place of work, rodent mites may not be the problem. If you cannot find mites during an inspection, instruct your customer how to collect a sample. A piece of Scotch tape, or a hobby paint brush moistened with a bit of gel hand sanitizer or rubbing alcohol is an easy way to pick up small arthropods like mites. Bring the sample back to the office and have it checked by a certified entomologist or Extension entomology specialist. Rodent mites may appear during or after rodent extermination. If customer thinks they have mites, ask them to collect a sample so you can confirm the problem. Mites should be large enough for most people to see--they are not invisible. Rodent mites can bite us; but they do not infest people, dogs or cats. Pet rodents can become infested with rodent mites. If so, a veterinarian should treat the pet and the customer clean and (optionally) treat the pet cage. Rodent mites may be the smallest pest your technicians are likely to ever encounter, but their impact can be big. Anticipate problems with mites when doing rodent control, especially in offices or residential accounts. Use sticky cards and consider treating any discovered rodent nests or room perimeters with a proven insecticide like permethrin or bifenthrin. Void areas can be treated with a desiccant dust like diatomaceous earth or silica aerogel. Rodent mite infestations are not uncommon. You owe it to your customer to take all reports of biting insects seriously, even when they are difficult to see. 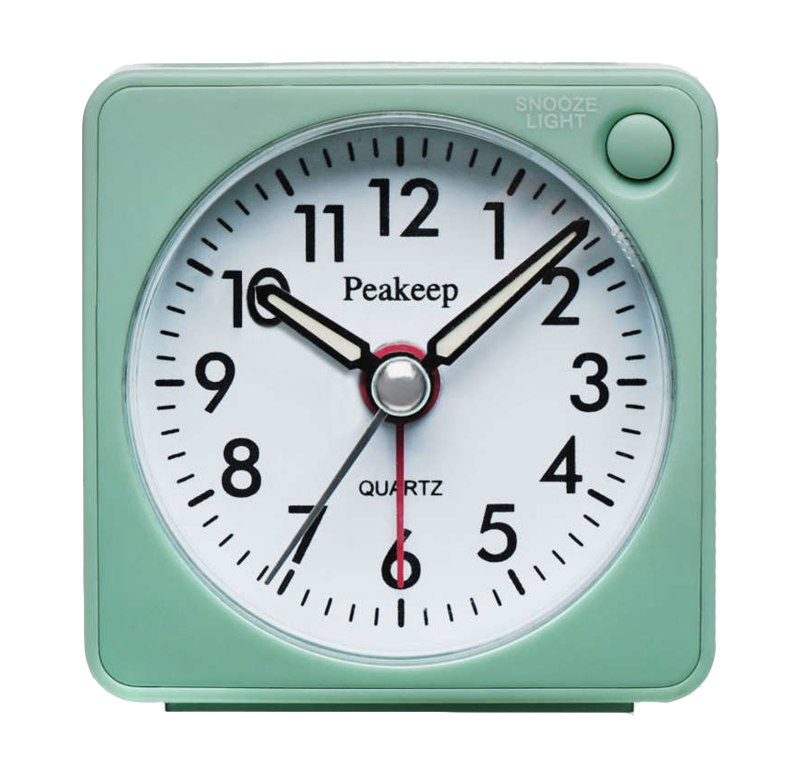 And if your customer hands you a clock, try plugging it in. 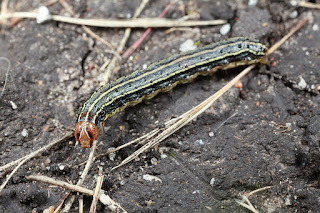 While fall armyworms are nothing new, according to Dr. Allen Knutson, extension agricultural entomologist in Dallas, this year they are a widespread problem for hay producers and small grains producers across the state. "I've had calls as far west as Wichita Falls, south to Comanche and across east Texas," he said. Locally in the Dallas/Fort Worth area, my turfgrass colleague, Dr. Lindsey Hoffman, and I have gotten many calls this week from concerned lawn owners, schools and the media. Fall armyworm (FAW) is the caterpillar stage of a drab gray moth, known scientifically as Spodoptera frugiperda. It feeds primarily on grasses, though it has been reported feeding on dozens of non-grass plants and weeds. It earns the name "armyworm" from its habit, during times of major outbreaks, of marching, army-like, across fields and roads and yards, consuming everything in its path. The FAW caterpillar is identified by three thin white or yellow stripes on the shield behind the head (pronotum), an inverted white Y on the face between the eyes, and by four dark hair-bearing bumps (tubercles) on the top of the 8th abdominal segment. It takes three to four weeks of feeding to reach its full length of about 1.25 inches (34 mm). For a video that will help you recognize FAW in the field, click here. The adult FAW moth has a wingspan of about 1.5 in. The hind wings are white; the front wings are dark gray, mottled with lighter and darker splotches. On male moths each forewing has a noticeable whitish spot near the extreme tip. 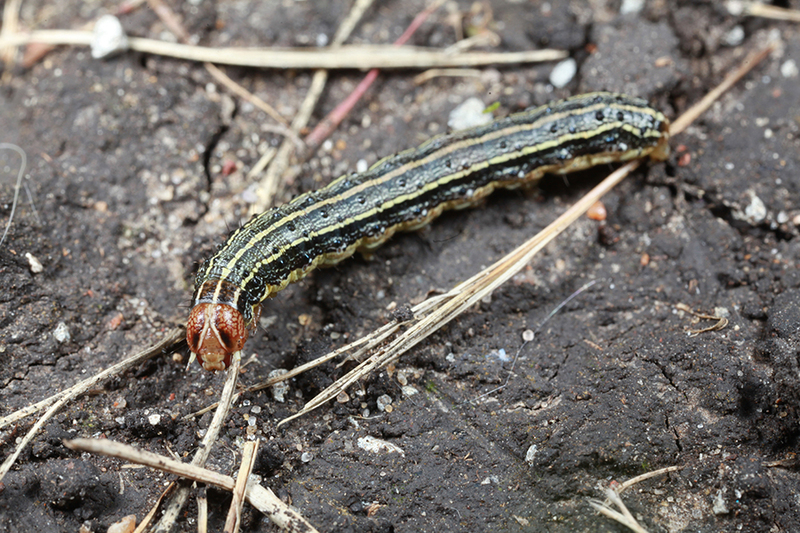 Damage often appears to occur overnight, though armyworms need at least three to four weeks to complete their six larval stages (instars). The last week or two of the larval stage is when most of the feeding, and damage, occurs. 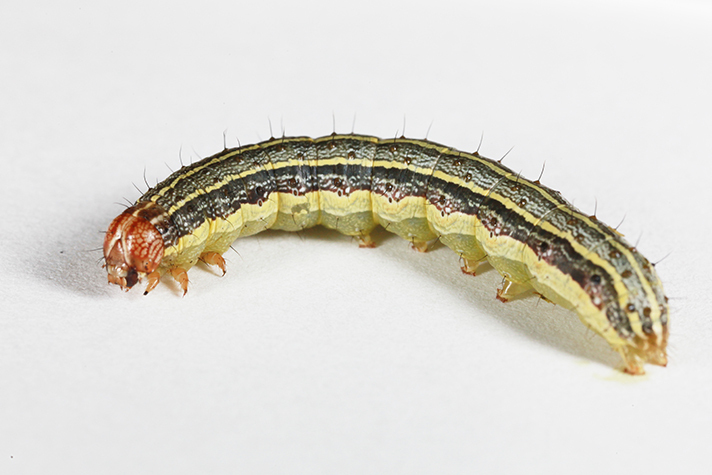 Fall armyworms feed on most common lawn grasses like bermudagrass and St. Augustinegrass. 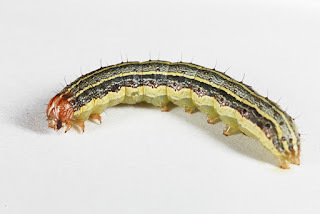 But because armyworms feed on the leaves, and not on the critical roots and stolons, a little irrigation or a rain should restore lawns to their original condition within a week or two. If this is unacceptable to your customer, FAW is relatively easy to control with any pyrethroid insecticide. Organic customer lawns can be treated with products containing spinosad, a naturally occurring microbial toxin. Be sure to avoid treating areas with flowering weeds or clovers that might attract bees, or else mow the lawn (and flowerheads) prior to treating. This will help protect pollinators that might otherwise be attracted to freshly sprayed lawns. Fall armyworm adult are strong fliers, travelling hundreds of miles from overwintering sites in south Florida, south Texas and Mexico each spring. In an strange, apparent case of migrational suicide, offspring of these northern migrants cannot survive freezing winter weather. And unlike monarch butterflies which return to Mexico each winter, FAWs never return south. Therefore, they and all their offspring perish in the cold weather. The evolutionary advantage of this unusual behavior, if any, is not well understood. For more information on our Aggie Turf website, click here. Here's one you never learned in technician training. 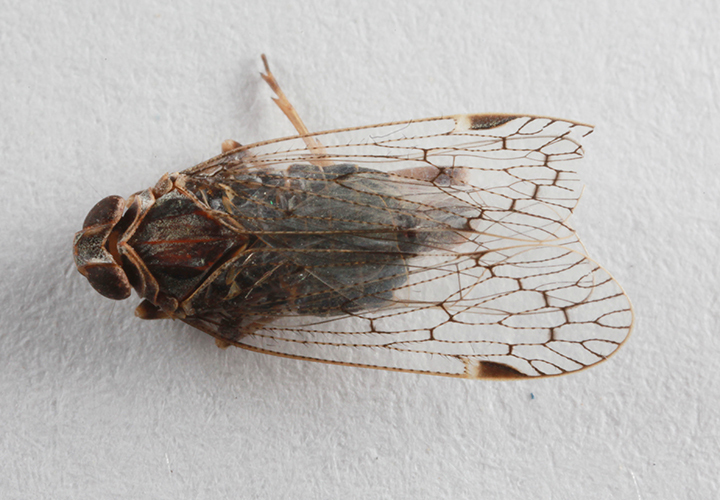 Cixiid planthoppers are 1/4 inch-long (5 mm-long bodies) insects that are common at times on trees and shrubs. They are plant feeders, with nymphs that feed underground on grass roots. They are not your typical household pest. the forewing. Body length 5 mm, with wings 8 mm. Over the past week in Dallas, however, I received numerous calls about these insects. One family described themselves as being "tormented" by these bugs, that insecticides wouldn't kill them and that the "bites" they were experiencing were surely these bugs. The truth is, cixiid (sicks EE id) planthoppers do not bite and are harmless to people. Also, their damage to plants is negligible. Their only crime is that they are sometimes attracted to lights at night and, consequently, occasionally invade homes. Apart from reducing outdoor lighting and sealing windows and vents (especially next to outdoor lights), there is no real control for these creatures. Infestations of cixiids should be temporary, but they are an interesting example of how, even in urban areas, nature occasionally intrudes on our otherwise sterile lives. They are also a good example of why the more a PMP knows about all insects (not just pests), the better professional he or she will be. 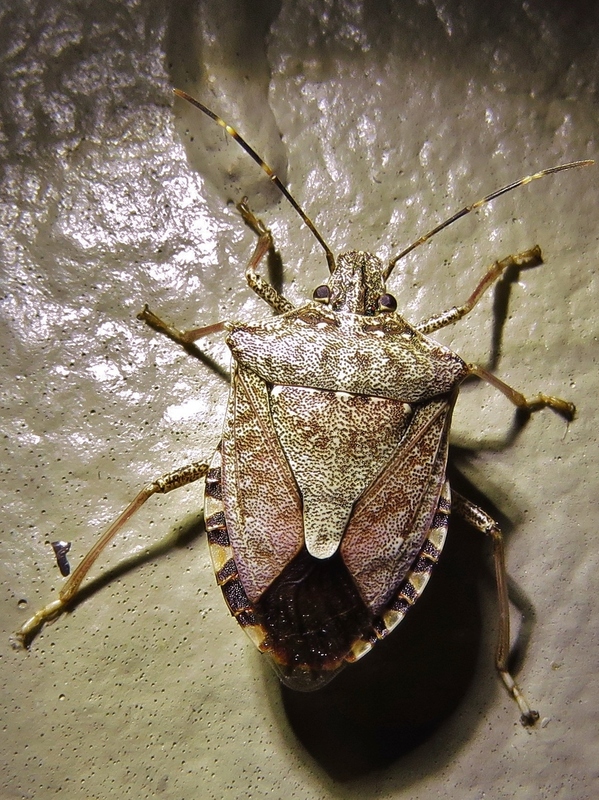 Brown marmorated stink bug has been causing a stink, literally, in many parts of the country for the past 15 years or so. It feeds on important crops, and finishes up its dirty work by invading homes in the fall. It's the complete pest. Bad for farmers and homeowners alike. Now the BMSB may be making a new home in Texas. According to EDDMaps distribution records, this stink bug has now been confirmed in four Texas counties. Two sightings were recorded last summer in Dallas County by the same observer, and one in Collin County in 2015. It has also been seen in Harris and Ft. Bend counties in the Houston area. To our knowledge there have been no reports of buildings being invaded or plant damage. I live in Collin County and have yet to see a BMSB; but that doesn't mean they're not here, slowly reproducing and hiding out until they make their grand entrance. When they do, chances are that a pest control company will be the first to know. I first posted about this pest 7 years ago, before any sightings in the Houston or Dallas area. Given these recent reports, I think its time to renew the call to vigilance. So how do you identify BMSB? First, it is a stink bug (family Pentatomidae), all of which have flattened, shield-like bodies with a triangular plate in the middle separating the bases of the two wings. The BMSB is brown, about 17 mm-long (2/3 inch), and may produce a musty scent when disturbed. Several other stinkbugs look similar to BMSB. Identify by looking for three characters: First is the white band at the joint between the 3rd and 4th (last) antennal segments (see image). Second is the shoulders: the BMSB also has rounded shoulder angles (corners of the pronotum at the widest part of the body) compared to other stink bugs with pointed shoulder angles or jagged teeth above the shoulder. Last, there are four creamy spots on the pronotum (shield) just behind the head and on the top of the scutellum (triangular shaped plate between the bases of the wings). If you think you've run into an infestation of brown marmorated stink bugs, let me or one of our extension entomologists from around the state know. To confirm, we will need specimens or good quality digital images. If you choose to send a specimen, please follow the directions on this page, and include a completed insect ID form with accurate information about date and location where the specimen was collected. We are especially interested if the bugs are damaging fruit (fruit, corn, grapes, tomatoes, beans) or coming to lights and invading homes in large numbers. If you have a good picture and want to report an infestation, you can also report to our national EDDMaps database at http://www.eddmaps.org/bmsb/report/. This insect has the potential to become a major headache for households and businesses, as well as farmers. It reminds me of my latest proverb: "If you crave job security in your career, go into highway construction or pest control." Just as there will always be highways being repaired, there will always be new pests to battle. Brown marmorated stink bug is a good example. Who wants to eat insecticide? Not me, and I'm guessing certainly not your customers. 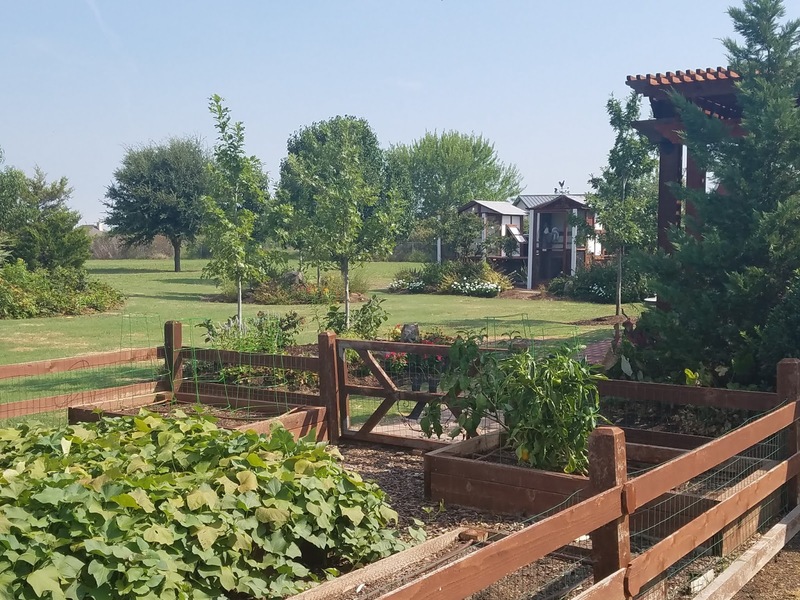 So if your company does residential pest control, are your employees trained to know what to do when they encounter a vegetable garden, fruit or nut tree in a backyard? And are they trained to answer a customer's questions about the safety of their insecticides around vegetables or herbs? plants might save that account. Photo by Jeff Raska. I'm guessing this subject is not commonly addressed in technician training classes. I was asked by an industry sales representative this week: "Is it appropriate for a technician to be recommending that a homeowner simply wash their vegetables after having their yard treated for mosquitoes, or should the vegetables should be thrown away?" The answer to this question depends on whether the plants were directly exposed to the spray and what the label says. I did a quick review of the common mosquito adulticides used in backpack sprayers. None of them allow application to edible plants. The Suspend® Polyzone label, for example, says “do not apply this product to edible crops.” The Fendona® label says to not use on vegetable gardens. Some make no mention of vegetables or edible crops at all. And when it comes to edible plants, if application is not explicitly mentioned, it's not allowed. Will pesticides make a plant toxic? Of course many insecticides, including some of the active ingredients in your tool kit, are used legally on crops all the time by farmers. This is allowed by the EPA only if that pesticide has been granted a tolerance for a given crop, and certain days-to-harvest intervals are followed. These rules work to ensure that any pesticide residues left after a pesticide application are below levels of concern for human health. The 2016 Pesticide Data Program survey by USDA shows that this system works. Out of 10,000 market food samples analyzed in the study, over 99 percent had residues well below the EPA established tolerances. More than 23 percent had no detectable pesticide residue. So insecticide residues on plants are not necessarily toxic, especially when label directions are followed and adequate time passes to allow the product to naturally degrade. The products we use in pest control may be the same active ingredients used by farmers; but they may differ in concentration and formulation. Most importantly, pest control insecticides do not carry food-treatment labels so they cannot legally be used on edible crops. Talstar® products, for example, consist of the active ingredient bifenthrin, the same active ingredient used by farmers and even home gardeners under a variety of trade names. The Talstar® P label for mosquito control, however, says "not to apply to bearing fruit or nut trees or vegetables or edible crops." To a law judge it won't matter whether other formulations allow application to food crops. To a judge enforcing FIFRA requirements, you must follow the label on the product you are using. If an insecticide is deliberately sprayed on an edible crop or plant, and the product is not labeled for such use, the plant would not considered safe by EPA standards. The implication is that all of the plant, or at least the edible parts, should be thrown away. Your customer could replant, of course, unless prohibited by the label. Labels generally do not, however, prohibit use of these products in the vicinity of a vegetable garden. I assume this means that if you take care to keep sprays directed away from vegetable gardens, any incidental drift from nearby spraying with a coarse spray, aerosol or mist generator equipment should not be a problem. Likewise, thermal foggers and ULV applications used nearby should leave insignificant residues as long as the application orifices are directed away from edible plants at all times. Of course applicators should always be aware of weather conditions and the locations of edible plants. If wind is blowing toward a garden, upwind applications should be avoided. So what should you do if a fruit, nut, vegetable or herb is is accidentally over-sprayed? Such a plant should be pulled, or else the produce should be left uneaten or discarded, by the customer. Some insecticides are "systemic," meaning they have enough water solubility to be taken up by plant roots and translocated to other parts of the plant. Although the EPA allows some systemic insecticides on crops, in general systemics are not labeled for use on food crops because they can leave residues in edible plant tissues that do not quickly degrade. Insecticides containing neonicotinoids and acephate are examples of PMP insecticides that may be systemic in plants. These include products like Merit®, Premise®, Transport®, Tandem®, Alpine®, Temprid®, Orthene® and others. Herbs and other root or leafy vegetables exposed to systemic insecticides should be considered contaminated for the season and should not be consumed. Some termiticides can also be systemic in plants, leading to concerns about vegetable gardens planted next to homes treated for termites. Fipronil, for example, is slightly systemic in some plants; and the Termidor® SC label says not to "apply around edible plants." The label does not say explicitly how far away an edible plant must be, although the Premise® 2 label (whose active ingredient, imidacloprid, is much more water soluble) is more specific. It says to "not treat within a distance of one foot out from the drip line of edible plants." The Premise® guideline, therefore, is probably a good, conservative guidelines for all termiticides. Keep the outermost leaves of garden plants at least a foot away from any soil-applied termiticide and you should be OK. Regarding washing, your technician may want to suggest vegetable washing to a concerned customer whose nearby yard or house perimeter has been treated with an insecticide spray. Washing is a good idea whether pesticides have been used or not. The best washing technique includes a pre-rinse with a 10% vinegar solution (for germ control) followed by 30 seconds of tap water. This is a great way to remove urban dust, microorganisms and traces of pesticides from vegetable and fruit surfaces. Would you recognize an edible plant? Lastly, can you and your technicians tell a basil from a begonia, a mint from a marigold, or a pear from a poplar? Any applicator wanting to follow label directions around a home needs to be aware of what plants are present. We all don't have to be botanists, or know all the local tree species; but we should recognize the most common fruit and nut trees, herbs, and vegetables. Would you know what the common herbs sage, basil or rosemary look like? Sounds like a good exercise for training day. When visiting a residence the first time, ask your customer if they have any herbs, fruit trees, nut trees or vegetables that you need to be aware of. Today's gardeners are more likely to plant edible plants within flower gardens, so you might have a basil plant or a tomato plant growing among the daisies. Assume your customers are organic in their vegetable garden and avoid these areas accordingly. Believe me, your customers will appreciate any extra consideration you give to their home gardens. Treat them well and they might even greet you at the door with a big bag of zucchini. It's easy to become part of the Insects in the City blog. All you have to do is add a comment. Go to the bottom of the post and click on the link that says either "Post a comment" or "x comments" at the end of a blog post, and a screen with a window for viewing and posting comments will open. You will have to type the letters of a squiggly word (a block for spammers) into the word verification box and click "anonymous" or "name/URL", depending whether you want your name to be associated with the comment or not. Once I approve your comment, it will show up behind the story. Questions are fine, but unless they are relevant to the post I may choose to respond to you directly. Spam, empty flattery (easy to tell from heart-felt sentiment) and shameless plugging of a company or website will, of course, be trashed. I have served as entomology specialist for Texas AgriLife Extension since 1989. I get to work with, and for, a bunch of great people including pest management professionals, school facilities managers, extension volunteers, researchers and other extension professionals. My areas of specialty center on research on insects affecting man including spiders, scorpions, fire ants, termites and others. My program also focuses on training school maintenance professionals in principles of integrated pest management (IPM). Our goal is to make schools healthier, cleaner places to study and live.